Human evaluators. Google makes use of evaluators in many countries and languages. These evaluators are carefully trained and are asked to evaluate the quality of search results in several different ways. We sometimes show evaluators whole result sets by themselves or “side by side” with alternatives; in other cases, we show evaluators a single result at a time for a query and ask them to rate its quality along various dimensions. You will need an in depth and up-to-date familiarity with English- speaking web culture and media. Additionally, you will apply this knowledge to a broad range of interests and topics. Ads Quality Raters possess excellent written communication skills and web analytic capabilities. You will be required to work 10-20 hours a week on a self-directed schedule. A system and method for rating an electronic document such as an advertisement. Rating information is received from one or more evaluators. A signal relevant to a criteria is received and a determination is made whether to deliver the document in response to the signal based on the criteria and the rating information from the one or more evaluators. The patent provides more details on how this evaluation process may work, as well as offering a number of examples of the processes involved. If you use paid search, you may find some value in spending time reading through the patent more deeply. I have a visit from Google evaluators. They came from aristocat.corp.google.com as a referal. Anything that can help Google to deliver ads more efficiently will end up being a win for the search engine giant. I am not sure which would be better but whatevre ever they do will probably be pretty good and logically applied. I think humans have to be part of the process somehow. It seems a wise decision to obtain an understanding of cultural bias, but I wonder how subjective it is since the evaluators are carefully trained. Also, I would be curious if this technique would be used to screen out poor results from a SERP. For example, Merchant Circle does a great job at targeting keywords to rank higher in a page. They offer no content; they do sell advertising space. I see more firms adopting this method to increase their revenues. Will these middle men be cut out when a human evaluator enters the picture? Some of the questions did remind me of parental control guidelines, too. There’s some mention in the patent filing about the possibility of only showing some ads during certain hours. I’m guessing that the thinking might imitate television programming, where certain shows are only broadcast during hours when children or more likely sleeping and not accessing TV (or the Web). Is that a good model for web advertising to follow? I believe that relevance to website content is a separate concern. This is an evaluation of the content of an ad to determine if it should be shown at all, or shown only in certain contexts. This kind of evaluation is a review of sponsored listings. I’m not sure that it will have an impact upon what shows up in the organic search results, but the purpose seems to be to provide higher quality ads to show with those results. Interesting to see how much human review is relied upon in that area, but I’m not sure tht it’s surprising to see. I agree – I do think that humans have to be part of the process. I’m not sure that’s going to change anytime soon. We do know that Google does use some human reviewers to look at the quality of their search results, too. It makes sense for them to do so. Google also offers the opportunity for people to offer their thoughts on translations, and if something in those translations might be culturally insensitive. It makes a lot of sense to be sensitive to potential problems. With the advent of the Internet, a seemingly limitless variety of content may be provided to people of varying ages, preferences, and sensibilities. Some content may be more appropriate for some individuals and groups than for others. For instance, violent or pornographic content is typically deemed inappropriate for children. Providing audience-appropriate content is desirable because it generally maximizes benefits and minimizes burdens for both the content provider and the audience. For instance, an audience-appropriate and relevant ad is more likely to generate a sale than an offensive and irrelevant one. However, providing ads and other documents based on user-related content does not ensure the propriety of that content for a particular audience. For instance, a beer advertisement may not be appropriate on a website for recovering alcoholics, even though the ad and the content of the website are related by subject matter. I’ve seen some really poorly matched ads alongside search results over the past decade. Hopefully human evaluators help make a difference. I do think that it is very important for Google to evaluate the quality and content of ads that they dispaly. Considering that the advertisements shown with search results are one of Google’s primary sources of revenue, Google has a very strong interest in presenting ads that are appropriate, relevant, and high quality. If the ads shown with search results are offensive and annoying, that may negatively impact the numbers of searchers who use Google. It’s good that Google evaluates it’s own Algorithm by humans, at least for the Search Results, but why for Ads? Do they really care what an Ad looks like? Its funny how you can have a temp job with Google but I think that they’re secretly having them click sponsored ads in the search engine while performing the “full analysis”. Good point, William; it probably has everything to do with reputation management. It would be a very questionable practice for Google to have their quality reviewers to click upon paid ads while analyzing pages. It would make sense for Google to have controls set into place to monitor for that kind of practice, and I would guess that they probably do. There isn’t much value in Google having their analyzers click through ads without any intent to buy, especially since doing so would mean more clicks that need to be paid for with less actual conversions. The impact of increasing clicks without conversions might earn a few pennies while simultaneously possibly losing advertising accounts – a pennywise but pound foolish approach. If the amount of clicks go up, but the ration of clicks to conversions go down, Google may lose advertisers. That’s likely a result that they don’t want. Yes. 🙂 If Google were to start showing ads that didn’t inspire much trust in consumers, that could harm their revenue considerably. Quality management is important, and the reputation of Google and their advertising program could suffer as a result. Oh wow, I didn’t know that. It doesn’t surprise me though. I’m sure the engineers get as many testers and evaluators as they need. I remember a presentation by one of the User Interface designers at Google describing some simple tests that they did with Google Maps. One test involved changing the font size shown to visitors, and the other involved showing the “map” on the right side of the page instead of the left site. They made those changes and went live with them to collect data. It didn’t take them too long to collect data from a few hundred thousand visitors to Google Maps. I wonder how many people apply for evaluator positions like the one I linked to above. As much as the technical stuff is involved…don’t forget Google is a business too. On this article I’ve read about some ads that Google ran that were very unethical but Google still runs it even today…the reasons for this are obviously money. Would love to hear your opinion on this William. I know what you mean. When everything is said and done, humans often don’t do a bad job at being able to look at a web page and decide whether or not it’s relevant for a specific search query. Many of the mechanical algorithms that “learn” to make judgments about the relevance of web pages (and how well or poorly the algorithms are doing) do so based upon a sample, or seed set, of pages that have been evaluated by human beings. And those algorithms are based upon human judgments and assumptions of what might return relevant pages as well. No matter how mechanical and objective we might like search results to be, there’s just no escaping some human judgment being involved in what they do. For almost a year now I noticed that had visitors from google California Mountain View in my web site. I suspected that human reviewers from google look at my web pages and study whether or not itâ€™s relevant for a specific search keyword phrase. Obviously google diminishes importance own search engine algorithm and tries to involve human evaluation. Itâ€™s interesting that with less competitive keyword phrases one web page can easily be at #1 at google SERP-s only with backlinks pointing at it and appropriate anchor text within link, but theme or topic of that web page can be totally different and hasnâ€™t to contain link keyword phrase within itself at all. So IMHO google tries to involve human evaluators to assess quality and relevancy of web pages. Thanks for sharing your experiences. I believe that Google human reviewers often telecommute to Google from locations around the globe, so it’s possible that reviewers may come from places other than Google’s Mountain View Network too. I think Google needs human evaluation for algorithm building and as data input for some algorithms to work. As far as I understood the papers on combating link spam, algorithms can determine pretty well if a site on the web is spammy or not after a subset of the web has been marked manually as spam/not-spam. So I imagine the data could be used for statistical purposes and to in order calibrate their evaluation mechanisms. Would make sense to take a similar approach on Ads, which again have to be validated before published. In the case of text ads it is an automated process, for images it is still manually done. But again, an automated system has to be calibrated somehow. Good points. Many of the processes that the search engines describe as involving “machine learning” often start with a set of human judgments regarding a seed or test set of links or sites or images, and it makes sense that they be manually reviewed by humans from time to time. Human evaluation is a must in all areas involving search engines. I believe it is google’s human evaluators (or the extent to which they are used) that set them apart from other search engines. I am involved in this process myself, but due to the confidentiality agreement I am limited in regards to what I can disclose. Anyway, evaluators are use to check and fix the results of automated processes and to help improve future automated processes. Thanks for sharing what you can. Determining the actual relevance of search results is a hard problem. I think it’s essential for human evaluators to check on how well or poorly automated systems are working as well. 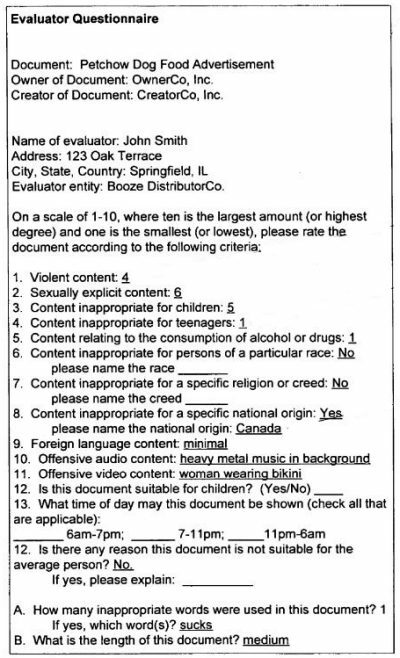 The Google human evaluators sound like employment with leapforce, lionbridge and butler hill. Wanted to know if anyone has information on how to apply directly to google for the search evaluation position??? I am experienced with this kind of work and have already applied for the ADS Quality Rater but for English (England). Seems they have not hired for the Ads Quality Rater in the US for a while. Any advice would be appreciated. I believe I’ve seen ads from Leapforce and Lionbridge that were for Search Engine evaluators, most likely for Google. Can’t remember exactly when the last one I saw was (on Craig’s list), but it was only sometime within the past few months. I believe that Google still does use some human evalutators to provide some human and manual feedback the relevance of both paid and organic search results. Google has come up with a way of looking at the quality of advertisements and landing pages in an automated manner, but chances are that they still see some value in getting some feedback from real people.